The mini-WASP array was connected up to the two computers for a dry run before transporting everything down to the new observatory. Cameras, filter wheels, autoguider and Paramount all fired up and ran as expected. 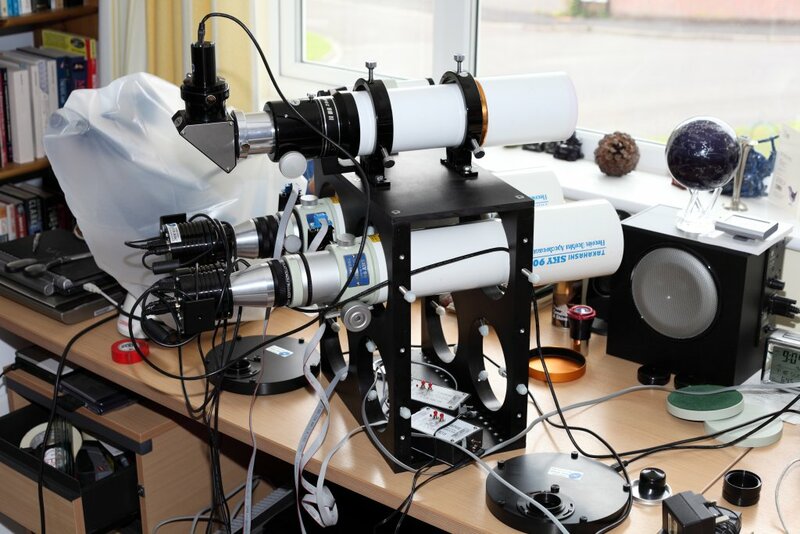 I am hoping for great new deep-sky images to come out of this revolutionary imaging system. To read more about the mini-WASP array and its development please go to the New Forest Observatory web site.